Description: The Boker Plus Caracal flipper (01BO771) offers a rugged, yet modern design from Boris Manasherov. 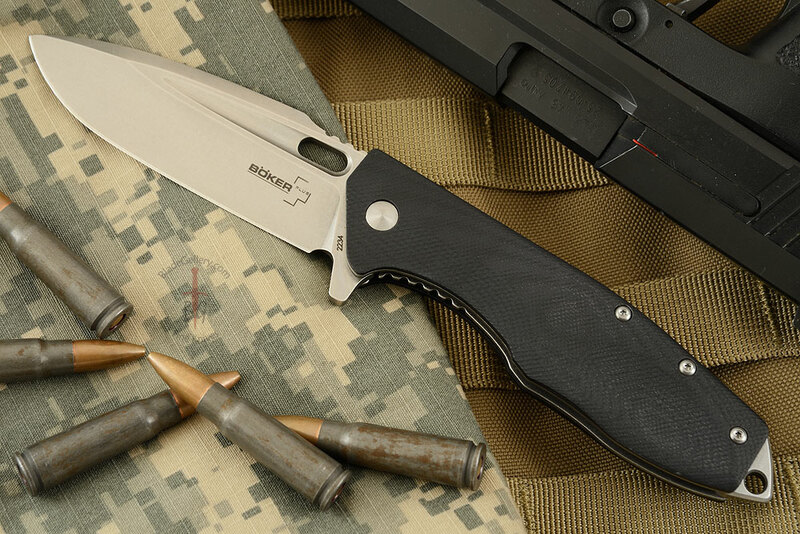 The blade is made from D2 tool steel and features a stonewash blade finish. 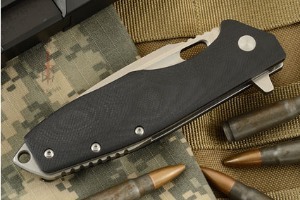 An elongated fuller and opening hole adds to the good looks of this folder. Aggressive jimping along the spine provides a solid thumb purchase. The blade can be deployed easily using the ambidextrous flipper and has very smooth action thanks to the ball bearing system. 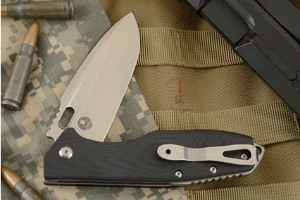 Black G10 scales are set on stonewashed stainless liners. 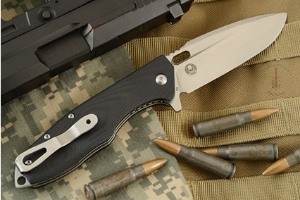 The scales are carved to provide an extremely comfortable and secure grip. The liners surround a jimped backbar that extends into a glass breaker that is tapped for a lanyard as well. 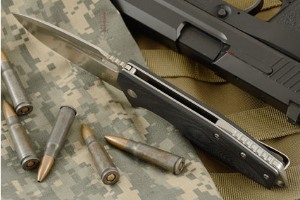 The stainless steel pocket clip can be mounted for right or left-handed, tip-up carry. 0.3916015625 0.125 391.6015625 125 Trailer Started. 0.59375 0.2021484375 593.75 202.1484375 Trailer Completed.